You may have noticed on Instagram/Pinterest/your local high street that hair colour is having a real moment. Has everyday colour been this creative and fun like, ever? We think not. 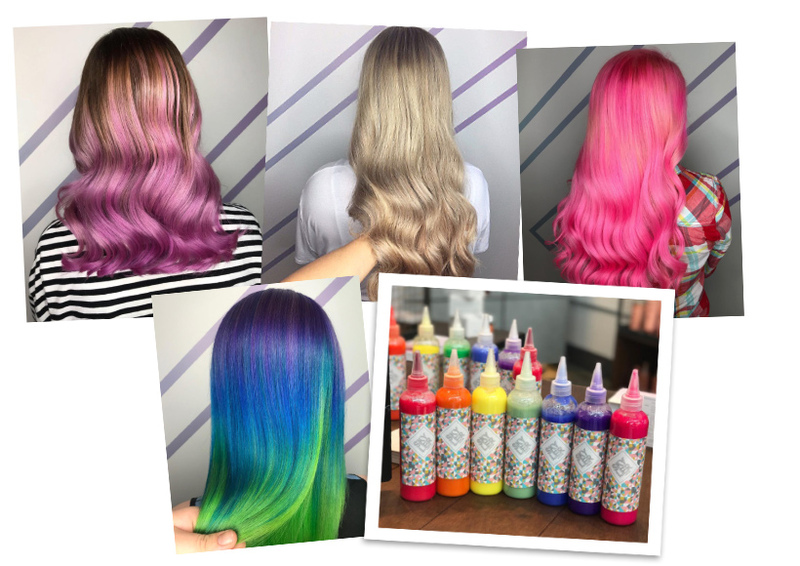 The Bleach London girls helped kick off a thoroughly fresh take on how we can wear pastels and vivid shades, and Sophia Hilton’s Not Another Salon has given all an extra elegant gloss. 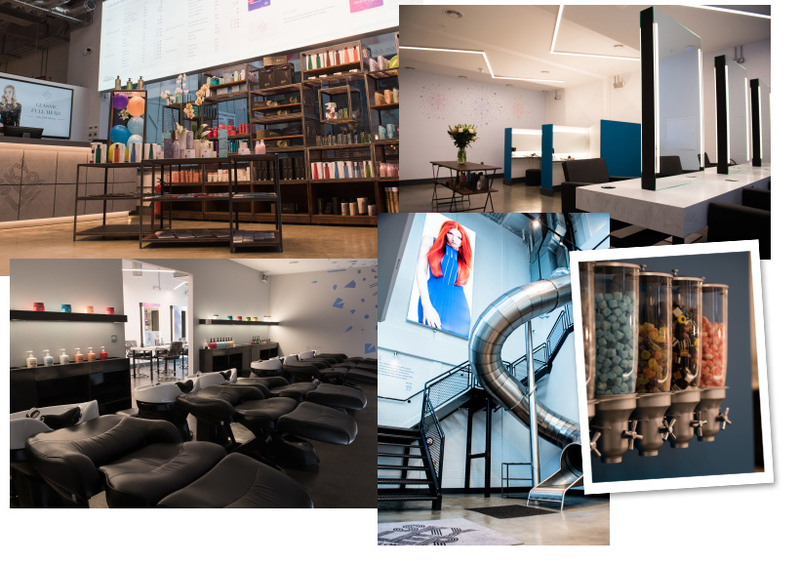 Now, there’s Skyler London in Wandsworth, South London, which claims to be the UK’s first colour only salon. Founded by Skyler McDonald, she’s on a mission to school everyone on hair colour – are you ready for your lessons? 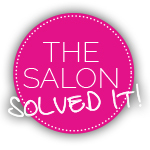 First up, can we talk about the salon. Just. Look. At It. There’s a slide! And pick & mix sweet dispensers! This place is a colour playground, and we are ALL IN. She’s also launched the Kaleidoscope Club – join for a fixed monthly Direct Debit at a set level (indigo, amethyst or byzantium), and you can enjoy unlimited colour visits. Where did we put our bank details…? 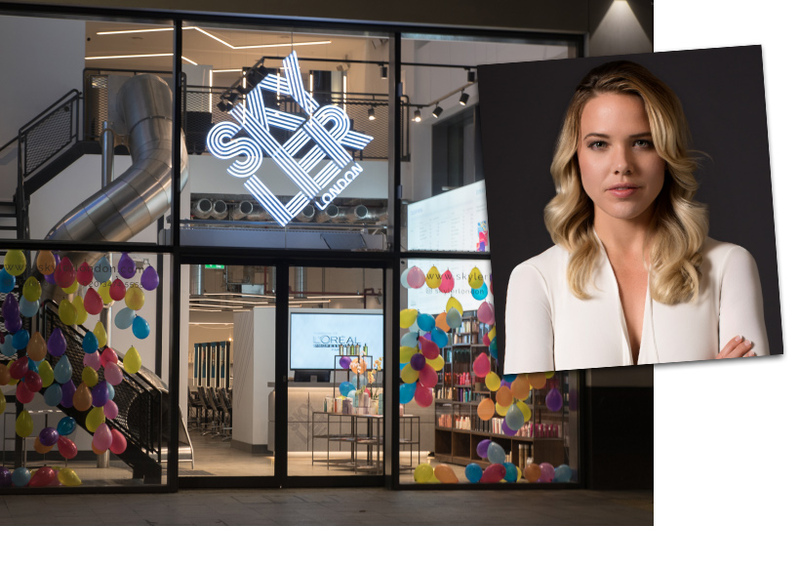 Having spent years at seanhanna salons and making her mark in the hairdressing industry, Skyler has launched a series of client events called Colour Soirees. These get-togethers are exclusive to people who have signed up to Skyler London for news on events and offers – known as the InnerCircle – and these guests get to bring along a friend, too. The idea? To ask all those nagging questions and to cover everything from top tips of applying colour at home, to getting the best consultation from your colourist. At the first event, conversations included tips on how to cut down colour fade, what to do to get the best out of a hair colour appointment and which techniques best suit each hair type. Everyone got a personal colour consultation (including a free strand and allergy test, just in case they wanted to take this to the next level and book a colour appointment) and a bespoke Skyler London Colour Conditioner worth £19.99. And they’ll get a complementary blow-dry if they book a colour service too. Sweet! Want to apply for free tickets to the next Skyler London Colour Soirée? All you need to do it click here – the next dates are Thursday 7 December, Thursday 18 January and Thursday 22nd February. Oh, and remember to tag us in (@LayeredOnline) on any colour changes you post! Beat the Christmas present panic with our (hairy) gift guide!